SADDLE BROOK, New Jersey -- Police in Bergen County, New Jersey have charged a woman in connection with a cellphone theft that was captured on camera. Saddle Brook police said 37-year-old Myra Rodriguez, of Garfield, has been charged with theft of property and endangering the welfare of a minor. 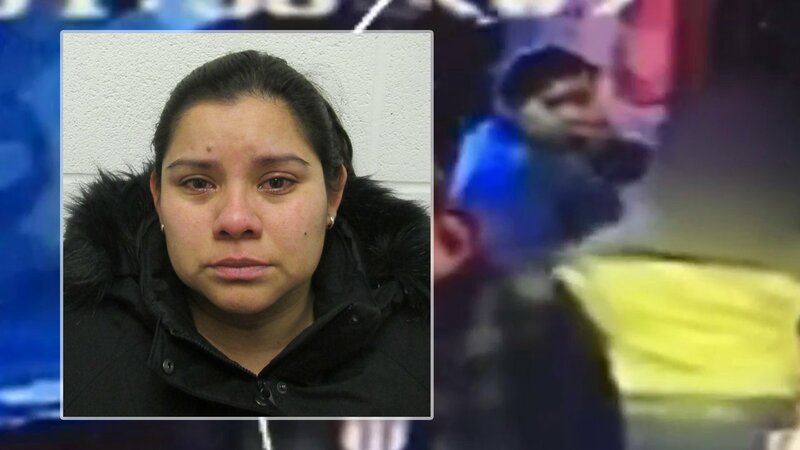 Police said the surveillance video shows Rodriguez telling a young child to take the phone, which was dropped by another customer at the restaurant Sunday evening. The boy picks up the Samsung Galaxy 4 smartphone and run out. Following the media attention, police said the Rodriguez apparently mailed the cellphone to the police department on Thursday, but it has not yet arrived at the SBPD. "We would like to thank the general public who provided us with several leads which led our detectives to identify the person responsible," said Chief Robert Kugler in a news release. "This reinforces the fact that our society, as a whole, knew it has an obligation to assist us in making sure she needed to be held accountable for her actions." Rodriguez was served with a complaint and will be arraigned on the charges next Wednesday, January 13.